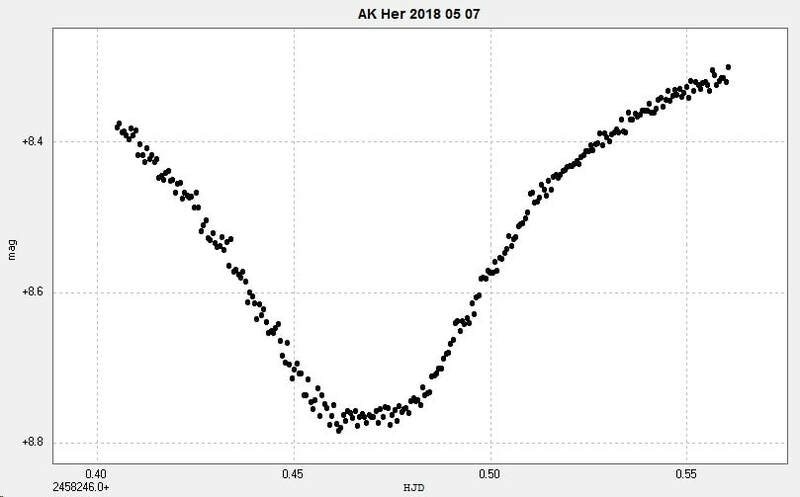 A primary minimum of the EW type eclipsing binary AK Herculis / AK Her obtained from Somerby Observatory with the 2" Titan on 7 May 2018. The images were unfiltered. 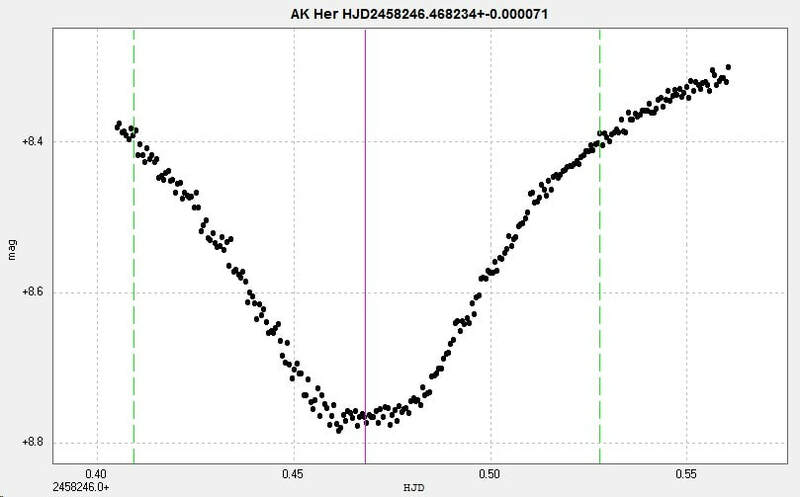 There is o-c activity in this star (Kreiner).